Buying excavators, wheel loaders and other construction equipment at auction offers an opportunity to score a good value on quality equipment. That’s why auctions, like the Ritchie Bros. Auction in Orlando that starts Feb. 18, can draw huge crowds. Of course, buying at auction comes with some risk. Based on my years of experience working with heavy equipment, particularly used equipment, I’ve come up with three tips for buying construction equipment at auction. Check with the auction yard or your auction rep to see if your mechanic can inspect the equipment prior to the auction. After all, a lot can be hidden beneath a fresh coat of paint. I won’t provide an exhaustive list here, but tips include having the mechanic check for signs of wear — like cracks, rust and fluid leaks — and signs of good maintenance — like proper track tension. Test the equipment whenever possible and pay attention to any unusual noises or exhaust. If you can’t get an early look at the machine, make sure you and your mechanic inspect it at the auction. On the flip side, don’t overlook a machine because of a fresh coat of paint. Many consignors are indeed proud of their equipment and have decided to give it a quality paint job to save you the hassle before it moves on to its new life. Again, best to have your mechanic inspect the piece and never judge a book by its cover. Also, obtain as much documentation as you can on the machine, like number of hours and maintenance records. If you’re seeing the same service performed several times on a machine, that could be an indication of a chronic problem. If you’re interested in bidding on Volvo equipment, I suggest getting a MATRIS (Machine Tracking Information System) download on the equipment from your dealer or auction rep. 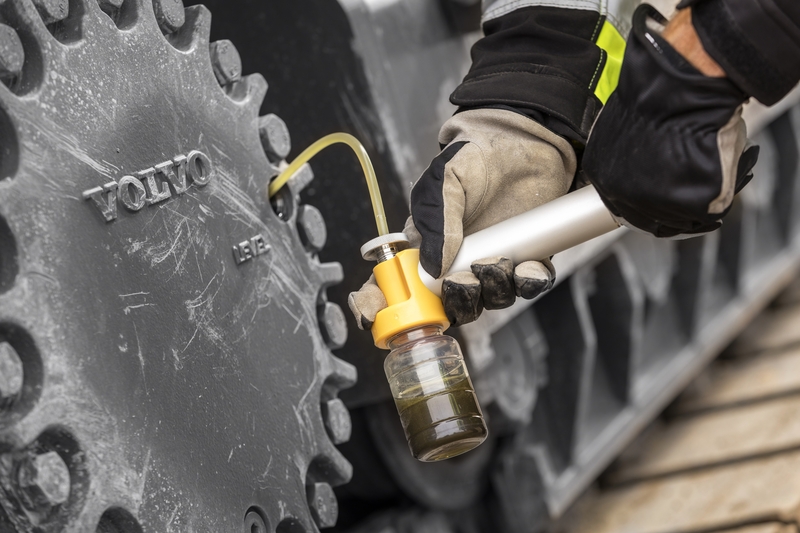 The unique Volvo MATRIS report will give you an in-depth look at operator behavior and operation data throughout the life of the machine. 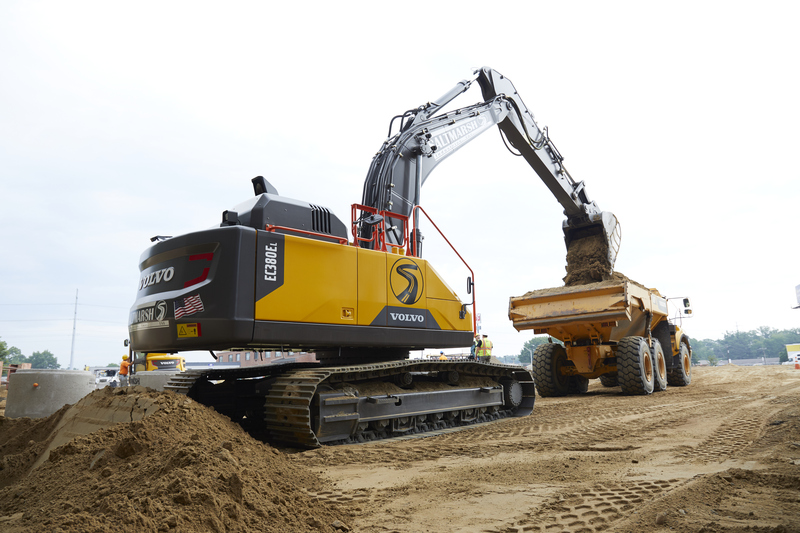 For example, say you’re looking at two excavators with similar hours, features and size classes. If one was owned by a quarry contractor and the other by someone doing earthmoving, the one from the earthmoving contractor may have less wear and tear despite having comparable hours as the other one. In addition, different rental companies have various standards of fleet maintenance. Do your homework. Find out what similar makes and models of the equipment have been selling for at auction, on the used market and new. And understand what’s accounted for in those prices — age, condition, hours, etc. Take a second look at pricing outliers. It’s not hard to find sales prices of compact and heavy equipment at recent auctions. For example, if you register with an account through Ritchie Bros., you can see selling prices for auctions in the past 24 months. Use this data to inform your bidding parameters. Also, remember that the dollar amount on the winning bid isn’t the only cost of buying at an auction. Find out your buyers’ fees (if any) in advance. Get an estimate on what it will cost to transport the machine from the auction site to your location. If you’re sending it across an international border, like to Canada or Latin America, consider the export implications too. And finally, line up financing before the auction. It’s common for auctions to require payments to be made in full in a matter of days. While you’d hope the equipment at an auction is in good condition, every piece has a history. Knowing what you’re buying will save you in the long run. For additional peace of mind, consider a manufacturer-certified equipment program. Machines in the Volvo Certified Used program, for instance, are inspected and, as the name suggests, have their condition certified. Check out our inventory of used equipment.